The Patriots drafted Gronkowski out of Arizona in the second round in 2010 (42nd overall), and he wound up being one of their best players for almost a decade. His career highlights include three Super Bowl championships (in 2014-15, 2016-17, and 2018-19), four first-team All-Pro nods (most recently in 2017), five Pro Bowl selections and the NFL Comeback Player of the Year award (in 2014). He battled significant injuries throughout his career, though, and was limited to 13 regular season games this season, plus there was plenty of talk that he might not return for another year, so this doesn’t come as a huge surprise. 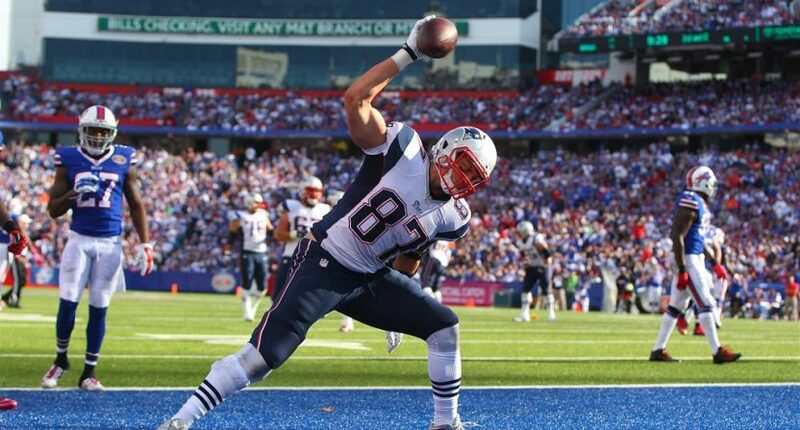 Despite retiring at 29, Gronkowski leaves the NFL with numerous records, including the most receptions and receiving yards by a tight end in Super Bowl history (23 and 297), the single-season receiving yards record for a tight end (1,327 in 2011), and the most total touchdowns by a tight end in a season (18 in 2011). He also is the only tight end ever to lead the league in receiving touchdowns (17 in 2011) and the only tight end with over 1,000 career postseason receiving yards (1,163). We’ll see what’s next for him, but now he’ll have more time to explore wedding spikes, horse ownership, action movies, Gronk Cruises, and maybe even professional wrestling.